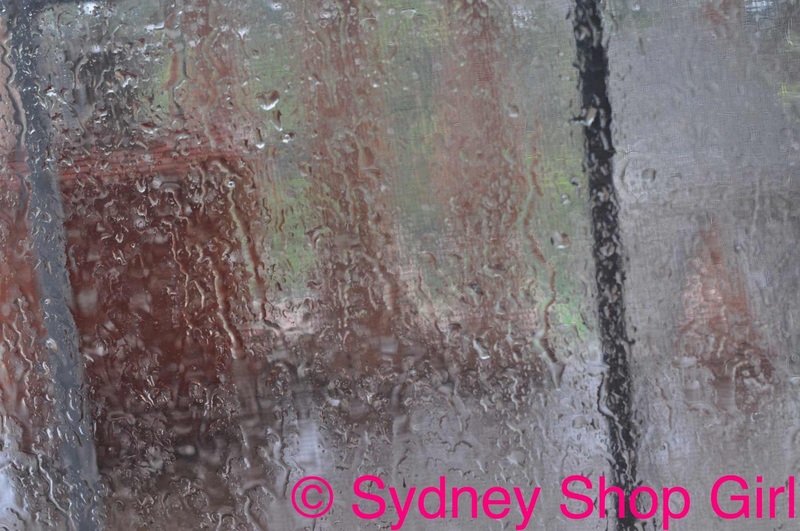 Sydney Shop Girl: It Started To Rain. What I've Been Watching. I was getting all excited about summer earlier today. I drove home from my swim, drying off in the warm car with the sun on my face. There was a summer afternoon vibe at the petrol station. Customers were in shorts, casually waiting in line to pay with a few impulse purchases of cold drinks and ice creams. 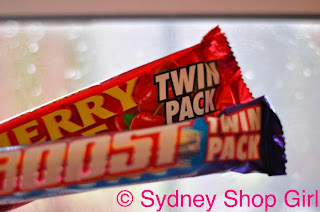 I always impulse buy chocolate bars, by the way (spending in order to save that extra 2 cents per litre on those Coles docket coupons). They don't melt or spill on the way home. There was the smell of barbecues firing up across the suburb. Really rain. So hard the veranda flooded and we lost satellite signal for pay TV. Even waving around the magic chocolate bars from the petrol station didn't help stop the deluge. 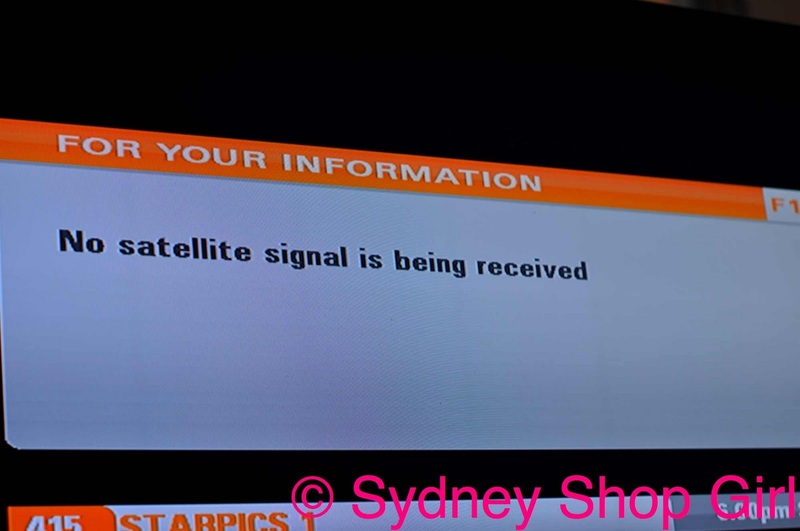 Fortunately, the satellite has reconnected with ground control at Foxtel HQ. 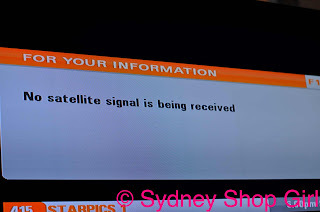 Unfortunately, I'm struggling to find something to watch until Offspring starts on (free to air) Channel 10. I'm usually not fanatical about watching Australian television drama (gulp) but I'm hooked on Offspring. It's basically a comedy/drama revolving around Asher Keddie's character, Nina who is an obstetrician in a teaching hospital. Nina has a complicated past and a complex family. Her love interest, Chris (played by Dan Hany) is a fellow doctor whose life is just as complicated. It's quirky and the plot shifts between internal dialogues and real time action. It's set in Melbourne and there are times when I laugh out loud in recognition of particular scenes and comments. Things are getting pretty serious in tonight's episode. Chris and Nina are finally (sort of) together. By the way, you have to see The Social Network. It is the best film I've seen this year. It was perfectly cast, tightly scripted and completely absorbing. Even Margaret and David were effusive in their praise. I had no idea that Justin Timberlake was even in the film. The whole cast were excellent but I found an interview Justin gave about his role and it was rather eloquent so I'm linking it here. the characters - no one was completely 'good' or 'bad', 'innocent' or 'corrupt'. It was genuinely funny at times, poignant, cynical and very much 'of the times'. the plot - a clever and interesting shift between the back story and the present. It could have been pretty boring legal stuff or frat house humour but the film skillfully treaded the territory between these 2 worst case scenarios. I'm loving Offspring...I hate that I have to wait an entire week between episodes. The Social Network is on my list of 'must see' movies...glad to hear good reviews about it. 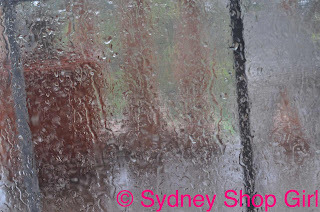 How I miss living in Sydney - even with the cold, rainy weather! Absolutely LOVE the ribbon background - looks fantastic! Yes, I enjoyed The Social Network too. Very well scripted and cast. Felt really true to life. I went to see it with my two daughters on a very wet Sunday evening - we snuggled into the comfy seats with our hot chocolates hearing the soft drumming of the rain on the roof. Perfection. P.S. I went to see "Eat Pray Love" yesterday - did not like the book at all, but thought I would give the movie a chance. Well, it was so dull - I was desperately wishing for a bag of maltesers and a coffee, just to keep me awake. Kate: I had fears about "Eat Pray Love" being 'translated' to film. Even with Julia Roberts as Liz. The book was such a personal and emotive journey, I don't think bringing it to film adds to the experience. PS - am going to read the sequel soon. I really loved the movie, and thought it was really good!